Rubber roof repair is a specialty at Maulsby Roofing. Extended life can be given to rubber roofs by repairing the flashings and seams. Shrinkage problems encountered in some aging rubber roof systems can be alleviated by replacing outer areas of the roof. 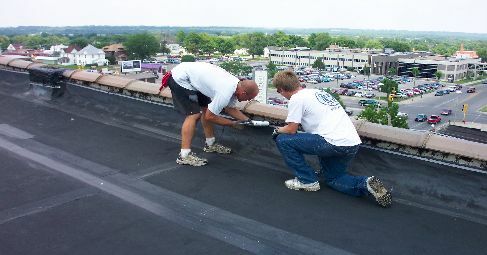 We can also install new rubber roof systems to the customer's satisfaction.